Buy cheap Burton snowboarding pants or snowboard salopettes or trousers and ski pants in our sale. Ski Salopettes and ski trousers for skiing. Find pairs of mens skiing pants, womens, girls, boys, ladies and kids snow pants and ski bibs or salopettes withinsulation and Gore-tex at discount prices. We sell Burton, CLWR Picture, DC, thirtytwo, Volcom and Oakley and more snow pants. Women's slim cut bib pants from Armada! The Stretch tool belt, perfect for snowboarding or skating by 686. Have a good time on the slopes with these tailored ski pants from Planks. Figure flattering, ultra-feminine softshell ski or snowboard pants for women who want to spice up their ski ensemble. The Original toolbelt, perfect for snowboarding or skating by 686. Unique styling combined with a highly durable and mobile face fabric. Highly waterproof women's ski salopettes from Scott with removable bib. A slim fitting technical pant with no limitations. High end water protective 4 way stretch pants from Kilpi. Extremely waterproof and stylishly bold; The Devotion Pant from Westbeach. Slim fitting, insulated pants with Burton's Living Lining for quality performance. 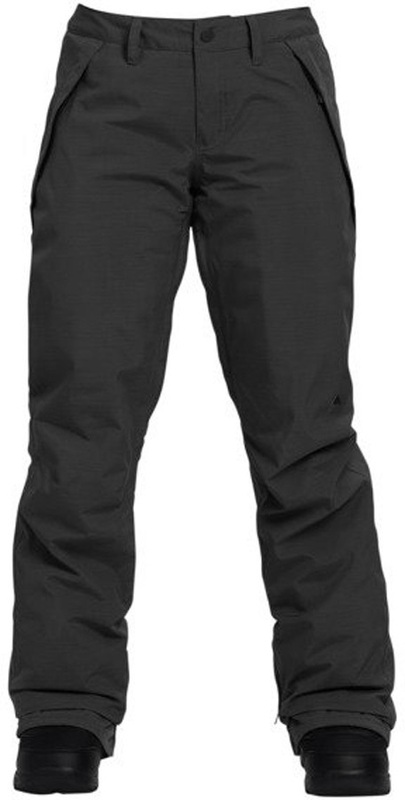 Great fit insulated snowboard pants from Burton.